Bless Your Heart is a heartwarming story of a family navigating its ups and downs thanks to each other’s support. 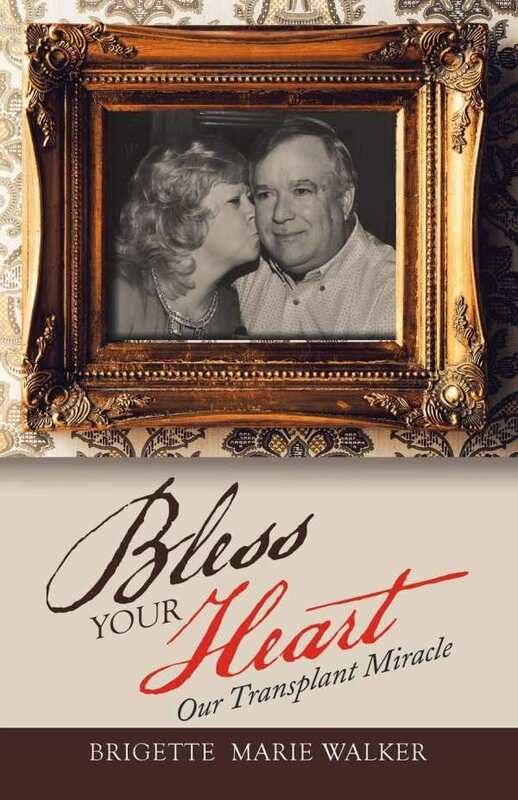 The true story of a generous family man’s life-threatening illness and heart transplant, Brigette Marie Walker’s Bless Your Heart is a tender and gracious book that celebrates the support that family and marriage can provide. Walker’s husband, Dalton, is the outward subject of her book. The couple married late in life; both had been previously married and had children. The story starts with the early stages of their romance. Dalton, a bit nervous and bumbling but charming, sweeps Walker off of her feet, and soon their families meld into one. They spend time on beach getaways, living the life Walker always dreamed of––until they learn about Dalton’s heart condition. Doctors tell Dalton that he must get a heart transplant or he will have less than a year to live. While it may seem that Dalton’s life is the core of the story, it is clear that love and family are its central themes, and there could not be a more affectionate or grateful person to tell that story than Walker. Though the book’s choppy structure and short space keep it from delving too deep, it is a touching portrait; it even slips in some commentary on healthcare and its very high costs. Many of the book’s anecdotes are glimpses at the close-knit bond Walker’s family shares, including summers at the lake, the couple’s boys playing together in the water, adults having karaoke nights at local dives with their couple friends, and early spontaneity in the couple’s dates, like sneaking into a hotel spa without a reservation. Chapters average a couple pages in length; particulars, including those related to Walker’s family dynamics and the devastation that Dalton’s diagnosis brings, are held at a distance. Still, these cute scenes are whimsical and add levity to the major narrative, which focuses on Dalton’s illness. The tragic and grave situation he faces is illustrated with anecdotes, too, including about a fellow transplant recipient who stopped taking the full dose of the medication he was prescribed and died. Touching observations of Dalton’s post-operation care, such as Walker making him milkshakes and warming his towel, are included, and the book ends up reading like a picture of a loving and connected partnership.